I get the Bakery bags for a friend who is a heavenly baker....and wish MilesKimball would bring back the LARGER bread bags....with the personalization, these bags make great gifts!!! PLEASE bring back the bread bags!!!!!!!!!! These are wonderful for giving homemade baked items. Very cute. Would be great if they came in a larger size for homemade loaves of bread. Gifting baked goods . Used too be bread bags that were similar . Wish you would bring them back. I gave these to my best friend who loves to bake many years ago and now they are a traditional gift that I give her. Again, love the red ones but miss the white bakery bags with brown writing-they were my favorite for everyday use. Love the red ones for holiday baking! i order these for my best friend all the time. She is locally famous for her chocolate chip cookies and she loves delivering them with her name on them. It there was any negative, it's that they're a tad expensive. These bags are a very inexpensive and personal way to give home-baked bread as a gift. I love to give them to clients because they always remember my name and that I gave them a homemade treat! Great bags for gift giving. I have bought these bags for years for Christmas goodies. Just bought some for a friend who does a lot of baking. We were having a bake sale for a fund raiser for our scholarship fund for our Family Reunion. Gave to my newlwed granddaughter to send her love baked treats with a traveling hubby. She loved them! Impressive delivery on the order. This is a fun way to give home baked foods as gifts to new neighbors, friends, new parents,as Christmas gifts, etc. The bonus of having your own name on the bag impresses everyone and they always want to know where you got them. I have ordered these for years, and now I am buying them for my grown daughter too. I buy this product over and over again! I am giving this as a gift to someone who bakes but I have used them for myself to give away baked goods. People are always impressed that my name is on the bag! MK used to sell bread bags too, and I always bought those also. I don't see those anymore. These are fine for small items but where are the bread bags? I can use these for scones or cookies but miss the wonderful bread bags. I love the personalized baker's bags. They add a personal touch to giving gifts that I have baked.So much classier than putting my delicious baked goods into a zip lock or paper bag. It is very unique and a good idea for people who bake. I wish that the person's name was bigger and written in a place that is easier to see. The cookie bags are too small. The bread bags were a huge hit! Please bring them back. It's cute and my daughter does alot of baking. I do a lot of baking and i pass out the goodies to co-workers. Love these bags! Great for baked goods as gifts during the holidays, etc. Have used these for years--both sizes. Great for gift-giving!! I bake cakes during the holidays, thought this would be good for individual slices. 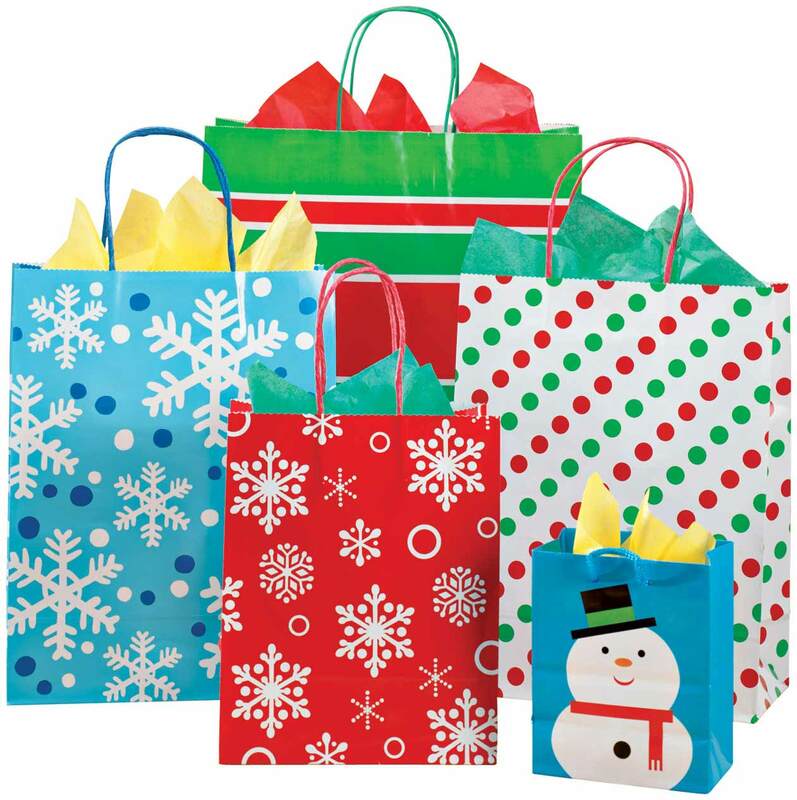 I have used these bags many times and love them - fun for Christmas gifts. I saw my sister-in-law's bread bags and thought they were so cute. Miles Kimball is the only place I know to order these personalized bags. They also offer bread size bags. I really enjoy using them and people enjoy receiving them! This is a fun item for someone like me who loves sharing bake goods with my friends & family. I have used the Bread Bags and Cookie Bags for years! They are a very nice way to give gifts from one's kitchen. I am a baker and enjoy giving some of my baked goods as gifts. Every year I purchase the bags. They are a great way to share my baked goodies without having to buy xtra bags and a card to let people know who it came from. Quality product. My daughters always look forward to these bags for the holidays and throughout the year. These are great to use when I give friends & neighbors my home baked bread. I had these bags and ran out, so thought I better order before Christmas! To show friends the care put into my baking for them. I've used these bags for years and friends are always so pleased to receive their goodies in such a special way. I love your personalized bakery bags and friends have inquired where I purchased them. They make homemade gifts even more special. PLEASE BRING THE LARGER SIZE BACK since I can use them as well....even more so! It is the perfect size for bread. 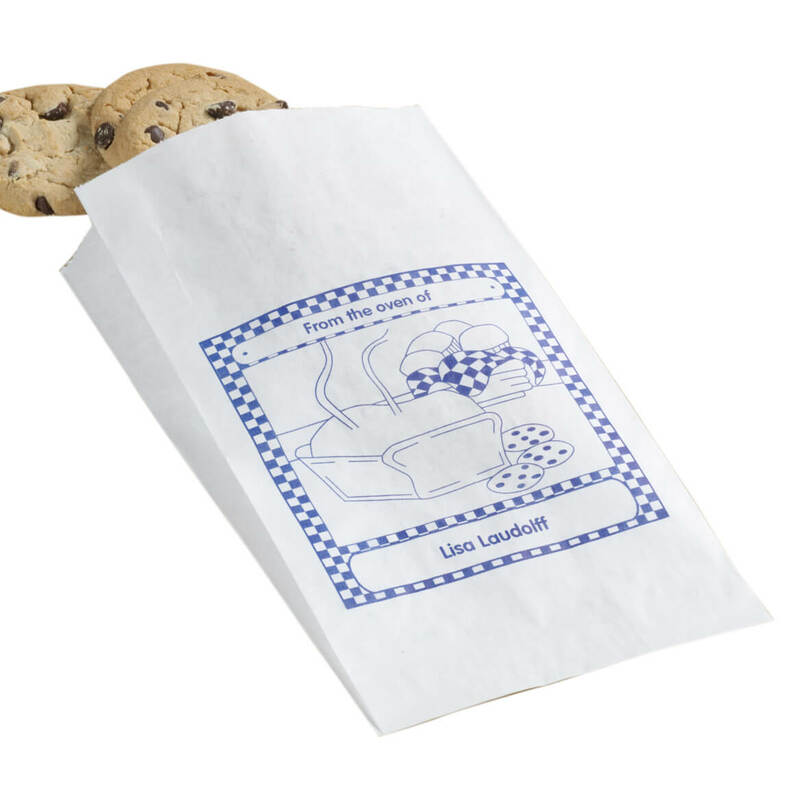 I love to bake and these bags add a personal touch to my freshly baked cookies, and other goody gifts. My friends love them and so do I. Use these every year for my holiday baking. Great quality. Nice way to present cookies to friends! My mother bakes goodies near the holidays and likes to share this. This is perfect. This was last years purchase of bags, I give cookies and candy away in them every year. touch when giving baked goods to friends and family. like to see my name on baked goods given as gifts. Wish you had the personalized labels as you used to. I've had these before, do a lot of baking and it's a really nice way to give a gift! There were 12 bags I believe in the order. I got them as a gift and my friend raved about them. They were the perfect gift! A while back I ordered large personalised white bags that said " From the kitchen of " and then had my name on them. I don't see them anymore :( are they discontinued? Can you please let us know of supplier, so that we can find a way to purchase the bread bags?? Where are the larger bread bags? BEST ANSWER: Thank you for your question. Unfortunately the large bread bags have sold out. We no longer have inventory and are not expecting further shipments from the supplier. We hope this information will be of help to you. BEST ANSWER: Yes, the bag will hold a full sized loaf of bread, but the latest set of bags that I bought are not as long as in previous purchases. The older bags had enough length that the open end could be folded over. This latest product can't do that. I prefer the longer bags but other than that I have been well satisfied with the bags. No. Miles Kimball used to sell nice bread bags but for some strange reason, they stopped. I bought them and wish they would bring them back, as other people have too. I am holding a white with red print eight and a half by 14 envelope which reads ... From the kitchen of (with a name) Do you have these or similar? BEST ANSWER: Thank you for your question. Unfortunately we do not offer this in red print. We hope this information will be of help to you.